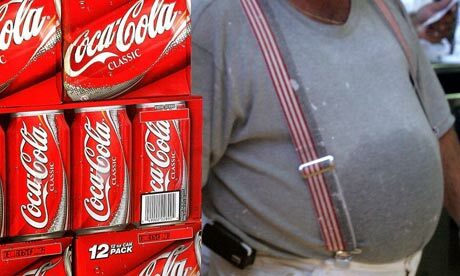 The American College of Sports Medicine has claimed that Coca-Cola will no longer fund “Exercise is Medicine.” In addition, Coca-Cola has gone missing from the ACSM’s sponsor section. The Coke-ACSM partnership, nearly a decade old, may be ending. EIM also announced that the funding sponsorship with The Coca-Cola Company is complete … The transition concludes Coke’s funding relationship with ACSM and the EIM Global Center. Nonetheless, ACSM pledges that EIM will proceed without its “first founding partner.” For more information on what ACSM is trying to accomplish with EIM, see here. Over the past year, journalists and public health activists have paid increasing attention to Big Soda’s relationship with health organizations. The Global Energy Balance Network story was the foremost example of this. For Coca-Cola, Pepsi and the health organizations they sponsor, public scrutiny keeps increasing. And a growing list of organizations no longer receives funds from Coca-Cola. The announcement only covered the “Exercise is Medicine” program, not the ACSM as a whole, or ACSM officials. Dr. Robert Sallis runs “Exercise is Medicine” and Coca-Cola still includes him on its list of funded experts. And Dr. Steven Blair, the founder of the Global Energy Balance Network, is on the EIM Advisory Board. Blair has received over $5 million dollars from Coca-Cola in just the past five years. For Coca-Cola, funding the EIM leadership may be a less conspicuous way to support EIM and ACSM. For example, in 2014 Coke funded an EIM program at Fukuoka University in Japan. Forty-three countries have EIM programs. Excluding the U.S., therefore, 42 other EIM programs may still receive Coca-Cola dollars. We have already found evidence of Coke funding EIM programs in 7 other countries. Coke promotes Exercise is Medicine in Indonesia and other countries. ACSM’s partnership with Big Soda continues. Gatorade has sponsored the ACSM for at least 23 years, and is still listed in ACSM’s sponsor section. PepsiCo owns Gatorade. Similarly, while the Academy of Nutrition and Dietetics’ Coke deal has terminated, it still accepts Pepsi funding. As long as the disastrous #PepsiACSM partnership lives on, CrossFit Inc. will have an ethical duty to expose it. Keep up the good work. Hopefully one day Coca Cola won’t be on this list anymore: http://fortune.com/worlds-most-admired-companies. Or maybe even better yet they’ll be forced to change their tune to stay on lists like this one.